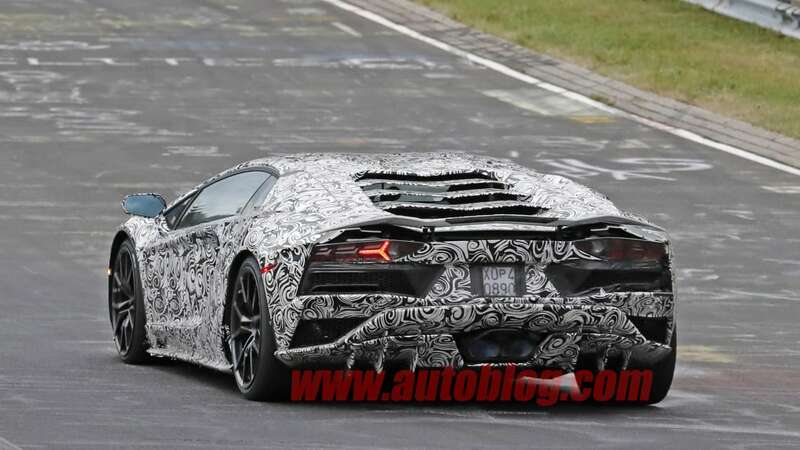 The Lamborghini Aventador LP700-4 has been a huge success for the Italian automaker. 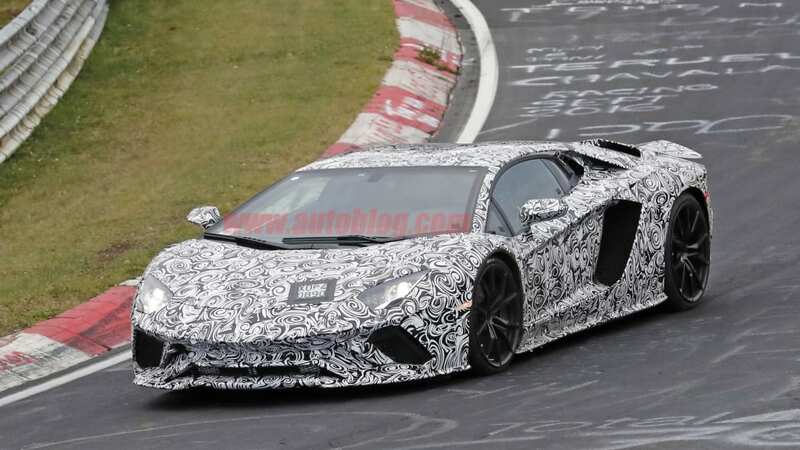 The big, burly V12 supercar propelled Lamborghini to record profits a few years ago and the automaker wants to ensure that the Aventador remains relevant with a minor facelift that makes it look even more aggressive. 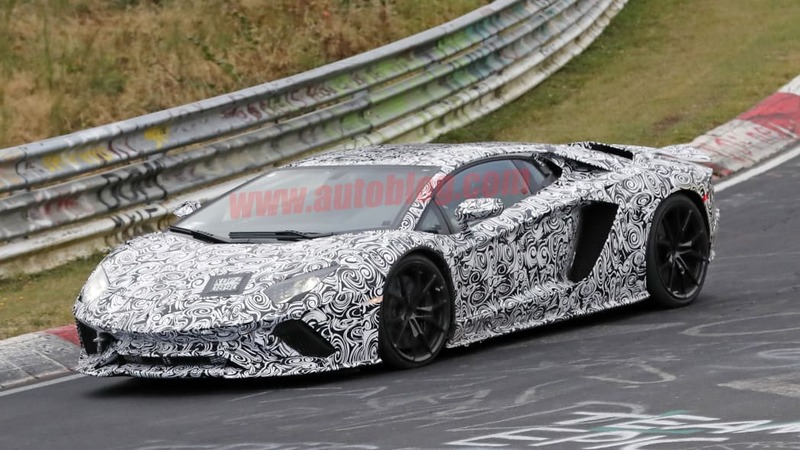 Photographers caught an Aventador testing at the Nurburgring and the vehicle looks like a toned down Aventador LP750-4 SV. 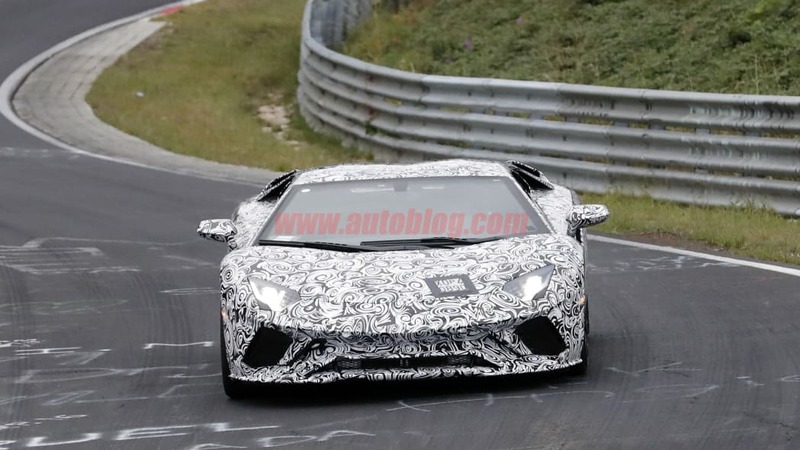 At the front, the prototype has smaller air intakes on either side of the front grille, of much the same angular design as the more powerful SV. These replace the unobstructed, larger square-like intakes on the regular model. The prototype still has the same overall profile as the current model. 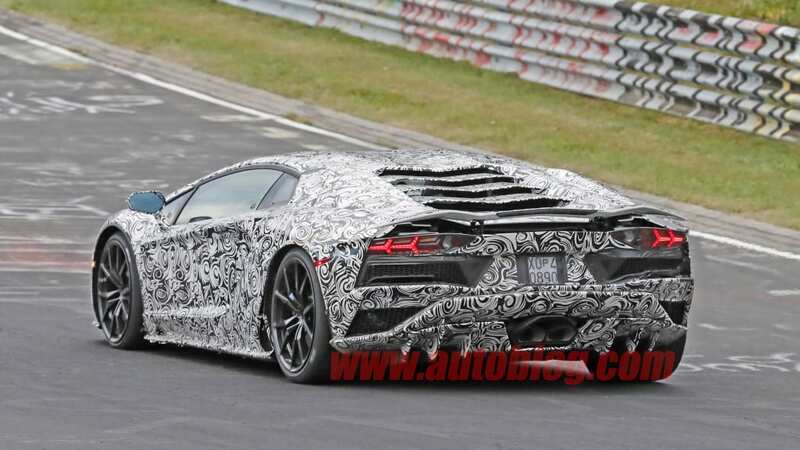 The changes at the back of the prototype are more dramatic. 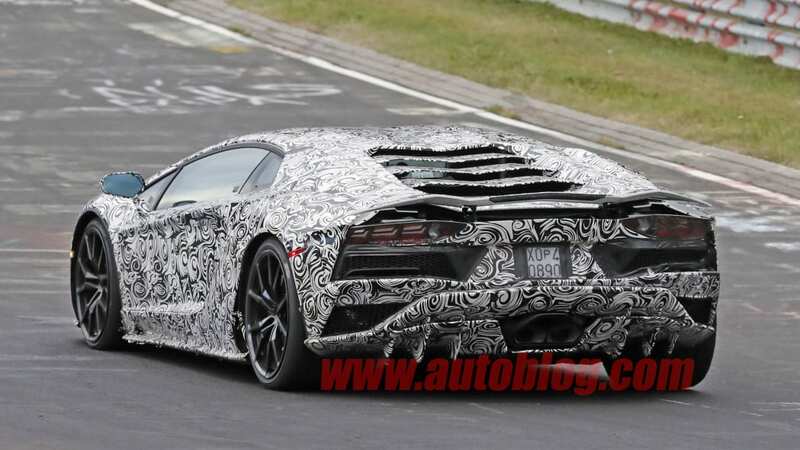 The rear wing is still the same shape and size, but the rear vents, which sit just below the taillights, appear to be smaller and more rectangular. 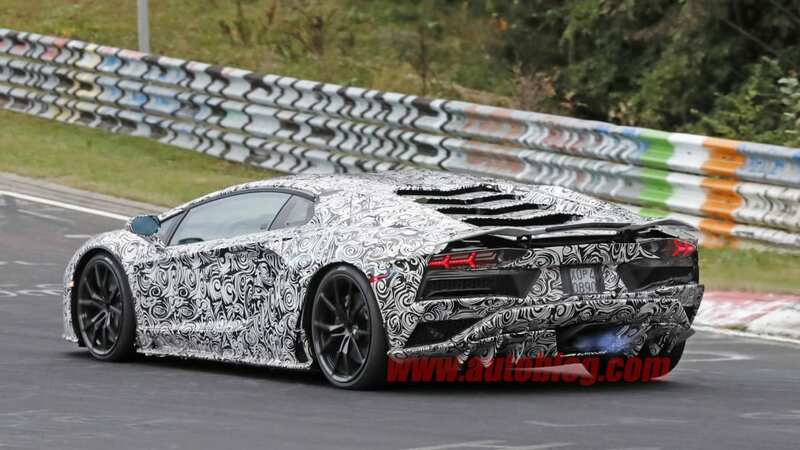 The diffuser, which protrudes out of the prototype's rear end, is closer to the one found on the SV than the more restrained one on the normal Aventador. 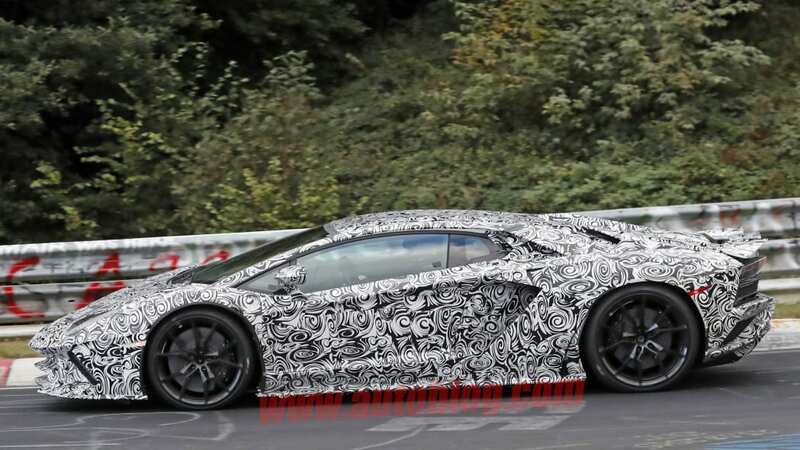 The exhaust outlet on this test vehicle is also different with a triangular shape that has a three-pipe design instead of the oval-enclosed four-pipe design on the current Aventador. 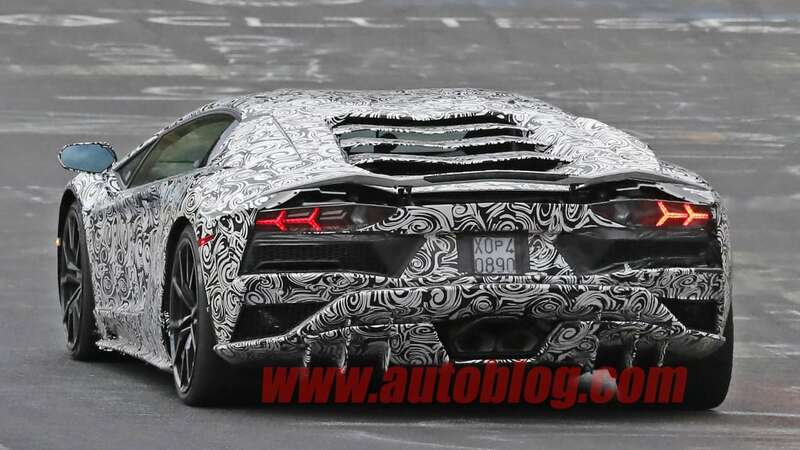 It's also different from the exposed quad-pipe layout emerging from the SV's aggressive hindquarters. 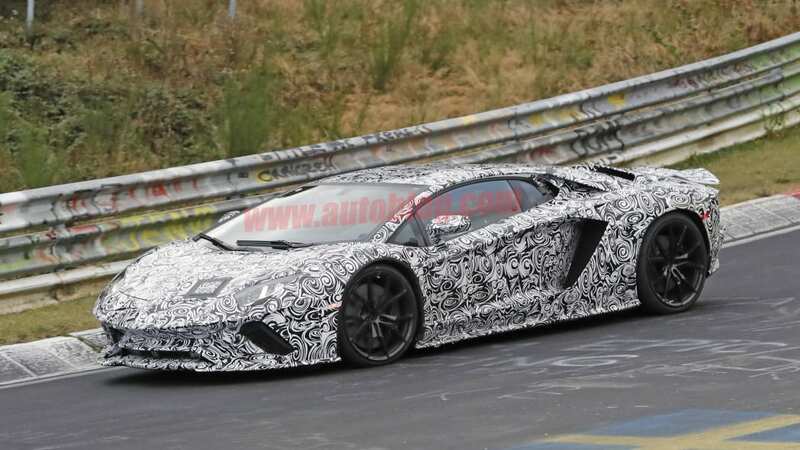 We're sure the different exhaust layout will alter the supercar's sound, but rest assured that the revamped Aventador can still spit a massive ball of flame. 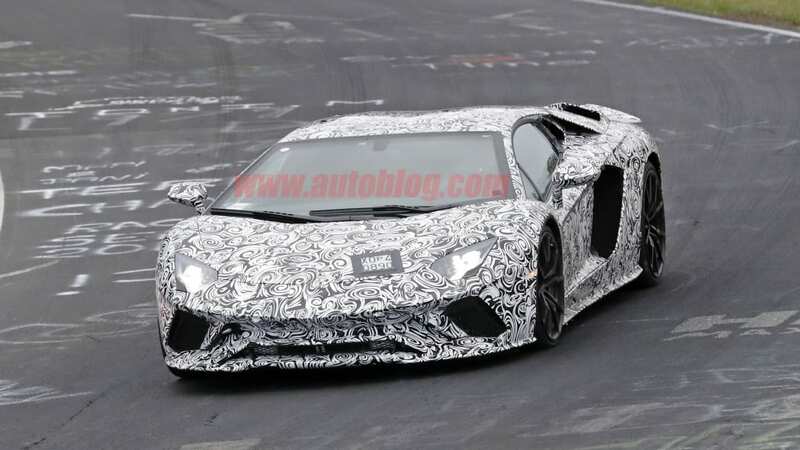 Rumors hint at the Aventador getting some additional power from its 6.5-liter V12 that currently generates 691 horsepower and 509 pound feet of torque. 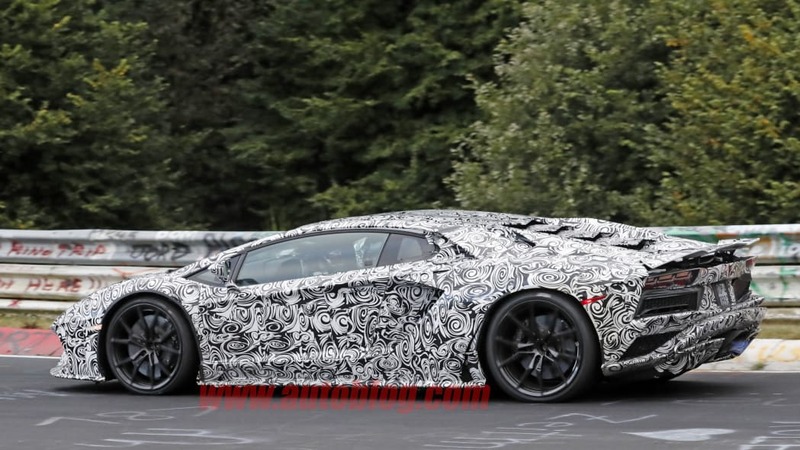 While the performance increase is up in the air, a dose of additional aggression will keep the Aventador looking fresh as it ages.